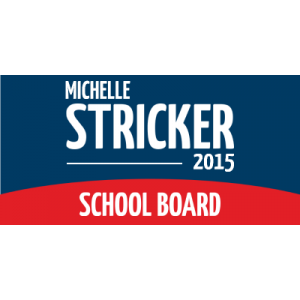 Your School Board banners won't blend in when you buy from SpeedySignsUSA! We utilize the latest and greatest printing techniques to make your signs pop! During political season, banners are everywhere. SpeedySignsUSA will make sure your signs stand out from the crowd with our full-color print and long lasting materials. This banner design was designed to pop amidst different campaign signs. So if you thought your signs would blend in, think again!